Ever since I was really young I've been entertained by the myth's of big foot, the lochness monster, and even mothman. These tales have always made me wonder if there are monstrous beasts, prehistoric fish, or a medical experiment gone horribly wrong (mothman.) Even though I had never really investigated I had always believed these tales. The legend of this creature is quite a tale. It goes back to the 1800's. The legend is, that the Native Americans were the first one's to see him, but it ranged from tribe to tribe. One tribe's story was that if you heard or said his name he would come and carry you off, sometimes to be killed. Another tribe said there were cannibalistic wild men that lived on the peak of Mt. St. Helens. Another story is that the Giant (Bigfoot) walked among the Native Americans in Spokane, Washington. Whatever the story he's a quite popular creature. If you just type big foot in the google search box you come up with 14,100,000 results. If you go on http://www.oregonbigfoot.com/ you can recieve a daily newsletter, and email, hear sound recordings, see the Oregon sighting database or even a national sightings database. His sightings aren't limited to Oregon though, they range from state to continents in fact the only continent he's never been reported in is Antarctica. So, it's no wonder, he's famous, he's fast also, either that or has procreated with another species in almost every country. Or maybe there are many more out there! I don't know about you but, I think if this creature is as big as they say he is, wouldn't he already be found. I mean it would be pretty easy to spot a 9 foot creature, at about 300 to 2000 lbs, and not only to spot him but to see him but to chase him. There's a show on syfy called "fact or faked", and if you watch the episode on big foot, they disprove a video sighting they recieved, but when they go to hunt for the animal, they find something on a thermal scanner, that shows that he was near them , but even though they don't find him they do find a massive footprint that makes me still a skeptic. Now I'm not saying that this show isn't scripted, it's meant to entertain, but I'm still a skeptic. 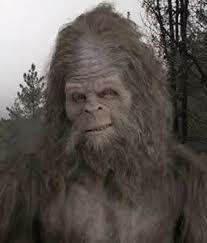 Even though I'm a skeptic myself, I think people enjoy the tales of bigfoot. They make for good campfire stories, and good stories, to make sure your kid's dont end up in the woods. I think these stories might've been told by the indians to make sure their kids wouldn't wander off into the woods without anybody who is of a better age. It's entertaining to hear these stories, and that's why I think he may not be real. It's easy to say you believe in a 9 foot 300 lb man walking around, and it's fun to tell around a campfire trying to scare a couple of boy scouts. The confidence in the teller of the story also has something to do with it, but whatever the story, or whatever the case, the big man is very famous. Again, I'm not doubting he's real. There's a heck of a lot of woods out there in the Pine Barrens alone there's 1.1 million acres, and some scientists say we haven't even scratched the surface of all the animals, insects, and fish there are out there. So why not believe the story of big foot, maybe he is a man eating, 300 lb fellow, with big feet, or maybe he's a imaginative made up creature used to keep your kids in line whatever the case, big foot (or sasquatch) is seen everyday, from anywhere like Asia, to the Nj. So, what do you think, fact or fiction? Kiss the stone and you will receive the gift of eloquence. This myth doesn't have just one story but quite a few. Some say the blarney stone has to do with the Queen and a comment she made about a young man's sharp tongue and called it "blarney". Some say it was Jacob’s Pillow, brought to Ireland by the prophet Jeremiah. Here it became the Lia Fail or ‘Fatal Stone’, used as an oracular throne of Irish kings. 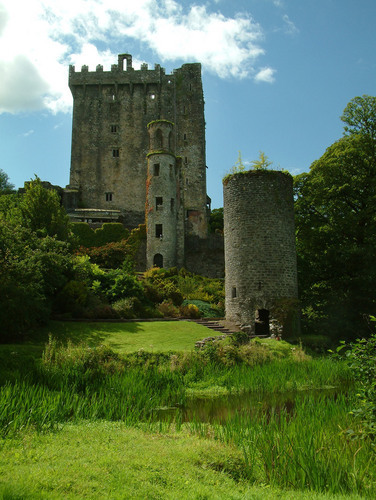 The Blarney Stone is one block of bluestone, the same material as the megaliths of Stonehenge. Some people believe the Blarney Stone is half of the original Stone of Scone upon which the first King of Scots was seated during his coronation in 847. Some say that part of this stone was presented to Cormac McCarthy by Robert the Bruce in 1314. It was his gift to the Irish for supporting the Scots in the Battle of Bannockburn. 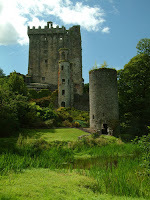 Legend also has it that the blarney stone wasn't always in Ireland, it took a trip to Scotland and was later returned. Whatever the truth is about the blarney stone the outcome is always the same, kiss the stone and be gifted with eloquence. I myself have never been to Ireland, if I go, I would like to see the castle, but I'm not superstitious enough to kiss the stone. Many people today believe you need to drink 8 glasses of water a day or you will suffer chronic dehydration and many other health problems. However, according to scientific american, unless you are at risk for kidney stones or urinary tract infections, drinking large amounts of water is not necessary. That is not to say that drinking water is not healthy, it is just that drinking very large amounts is not really necessary. 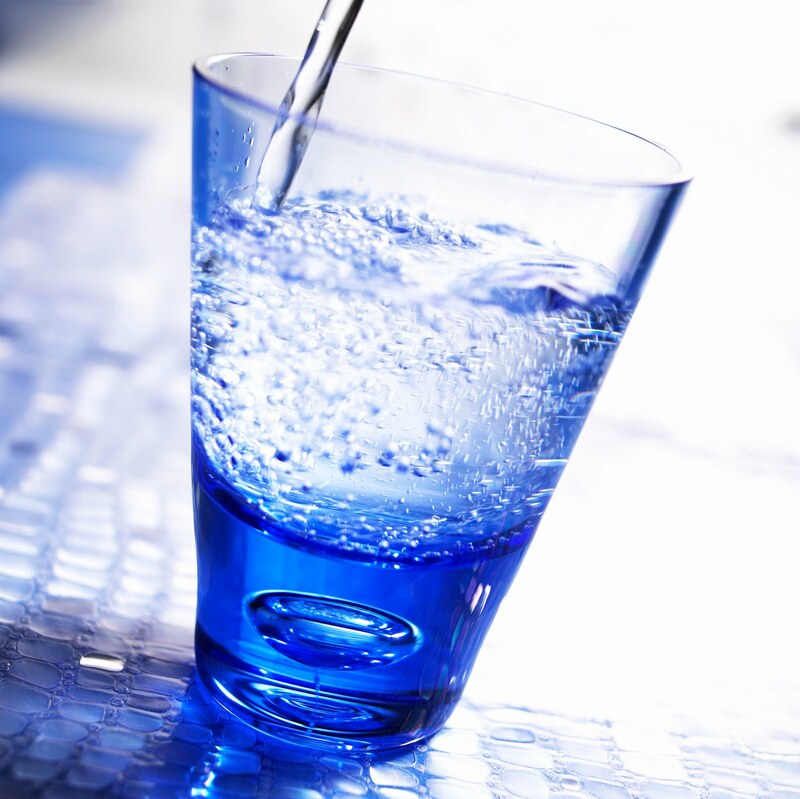 The misconception of drinking 8 glasses of water a day came from a study in 1947 that stated that people usually consume 8 glasses of water in the food that they eat. Once bottled water came on the scene it misused this to sell water.Personally that seems like a scam to me. When you have water coming from your faucet, but you buy cases of bottled water. 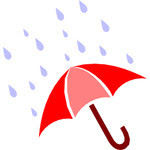 If you are exercising or something then you probably need more water than usual. However, drinking 8 extra cups a day is not necessary according to Dr.Valtin a professor from Dartmouth who specializes in kidney research. So only drink what water you need, the 8 cups a day thing is not true. 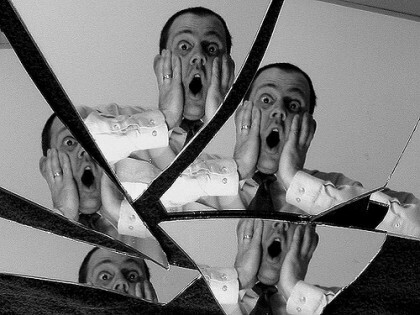 The old myth and legend of "breaking a mirror" they say leads to seven years of bad luck. Most people think of this when a large size mirrior has been broken, then a little compact mirror. The reflection in the mirror represents your soul, as well as your reflection. If the mirror is damaged, your soul will become damaged as well. The broken soul is less capable of protecting a person from misfortune, and wioll be subject to more "bad luck", or the damaged soul will bring down thye bad luck of revenge of the mirror breaker's carelessness. The reason seven years is the length of bad luck is because it goes back to the Romans, because they believed life renewed itself every seven years. Damaging the mirror will put damage to one's heath, and would take seven years to recover. If the mirror breaker uses and superstition antidotes, it may be a big help and ward off some sorts or bad luck, but it must5 be done quickly. Some of these antidotes include: throwing salt over your shoulder, spinning around three times in a counter-clockwise direction, grinding mirror shards into fine powder, burning the mirror pieces and burrying them a year later, and taking a piece of the broken mirror and touching it with a tombstone. In reality it's heard and known that the broken mirror is not a remmedie. Mirrors can fall and break on their own without anyone there. Myths and superstions go as far as what the person believes. If you believed you were never a lucky person, then you brake a mirror, it's not going to change how you feel. You can only believe what is in your mind. As I was growing up, my Aunt Eileen was obsessed with the Native American culture. She would wear rings with wolves or feathers engraved in them, wear shirts with Native Americans on them, possess talismans of the Native Americans, etc. This culture fascinated her and her obsession entered my life in the form of a Dream Catcher. For one of my birthdays, she gave me a huge Native American hand made Dream Catcher (the picture posted with this blog post is most similar to the one my Aunt gave me). I was impressed by its beauty, but didn't quite understand why this object was so significant. I was told by my Aunt that it will keep the good dreams flowing at night and the bad dreams away. So, I hung it up on my bedroom wall, hoping it would do as my Aunt promised. The history of the Dream Catchers has been passed on through many generations. The Native American people believed that the night air was filled with both good and bad dreams. They wanted to find a way to keep the good dreams coming and flowing through the sleeping person, but also filter out the negative dreams at the same time. The Dream Catcher's operation works like this: "The positive dreams would slip through the hole in the center of the dream catcher, and glide down the feathers to the sleeping person below. The negative dreams would get caught up in the web, and expire when the first rays of the sun struck them." ( Dream Catchers: History and Legend). The full legend of the Dream Catcher can be found here- The Legend Of The Dream Catcher, and is quite interesting! The legend started off as a meeting of an old Lakota spiritual leader and Iktomi, the great trickster and teacher of wisdom. Now skeptics probably are wondering- Does the Dream Catchers work? There is not an actually study on where they truly work or not, but people like to share their experiences or thoughts on the Dream Catchers. Here are some interesting stores/shared thoughts that people have posted on the topic- Do You Believe Dream Catchers Work? I still have the Dream Catcher my Aunt gave me at home and it is a fond memory for me (I do not remember if it helped with my dream when I was little though). Interestingly enough, right before I showed up to college, I bought a little dream catcher in Atlantic city in a Native American shop. I have had it hanging over my dorm room bed ever since the beginning of September '10 and I have not had any bad dreams. I've had interesting, weird, silly, happy, etc, but no bad ones. So as far as my experience goes- it has helped me. But..is it my mind? Who knows! Guess you'll have to test it out for yourself! My family isn't especially superstitious except here and there. My grandmother wore the Italian Cornuto to "keep the evil eye away" and kept Chinese cat statues in her home for luck. This never effected my household as much as the Curse of the Great Bambino. My Dad, a die hard baseball fan used to tell me about it when I was young and I'm sure everyone is at least a little familiar with it. The legend goes as followed.. In 1918 the Red Sox won their 5th World Series with Babe Ruth as their pitcher. The owner sold Babe's contract to the NY Yankees and since then NEVER won a world series in over 80 years -- Hence, the Curse of the Great Bambino. http://www.soxsuck.com/losses.html (haha) Here you can see a timeline of the Sox, to further 'prove' the curse. But while the Sox are telling themselves to "wait till next year", think about it. Is the curse real? Or just coincidence. 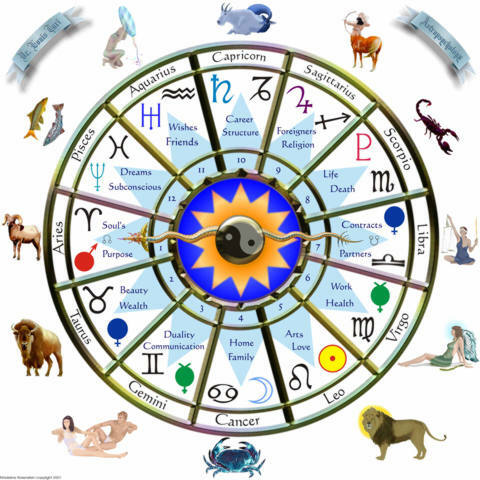 Astrology is commonly known as the study of the celestial bodies in relation to Earth that determine various aspects of human life, such as personalities, love interests, and future occurrences. The Hermetic Maxim sums up the basic idea: "As above, so below." In its infancy, astrology was known to directly reflect what would happen on Earth. Nowadays, however, it is accepted more as symbolic of people's lives. It is important to remember that astrology is distinctand separate from astronomy, thought they were originally formed in unison for the same purposes. It wasn't until the Renaissance that astronomy was distinguished as an empirical science, and remains so to this very day. Astrology itself is not accepted as a science, and rightly so. There are many errors and contradictions in astrology. First off, there is the use of the constellations of the Zodiac. 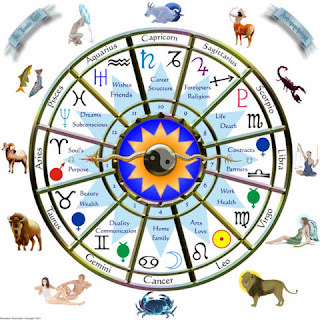 In Western astrology, two Zodiacs are used, the Tropical and Siderial Zodiacs. The Tropical Zodiac relates the position of the Earth to fixed points in the sky, whereas the Siderial Zodiac relates the position of the Earth to the constellations and what sign the sun rises through on the equinoxes. But these two Zodiacs do not coincide. There is a phenomena known as the procession of the equinoxes. The Earth wobbles on its axis at a rate of 30 degrees (one zodiac length) every 2,160 years. This means that the Tropical ans Siderial Zodiacs will give different readings for the same person, only coinciding every 26,000 years. Another error in astrology lies in the signs themselves. There are actually 13 signs in the Zodiac. Ophiuchus, the Serpent Bearer, lies between Scorpio and Sagittarius. Poor Ophiuchus was left out until recently, probably due to a superstition of the number 13. Just the addition of an extra sign would change the entire Zodiac. People who were originally born under one sign now have a different sign. How could any predictions be made for a person if their sign has changed? Astrologers also make use of the angular relationships of planets. Some angles of importance are a conjunction of 0 degrees, an opposition of 180 degrees, a trine of 120 degrees, a square of 90 degrees, a sextile of 60 degrees, a quincunx of 150 degrees, a semisextile of 30 degrees, a semisquare of 45 degrees, and so on. What is important to note here is the large number of "important" angles. With more chances for an important angular relationship, astrologers are basically just fishing for a relevant association. Another error can be found in the planets used. Originally, there were only six "classical planets" that were used, because they were the only ones discovered at the time. As new planets were discovered, they were added to the astrological charts and took ruling characteristics from the classical planets. Again, as in changin the Zodiac, changing the list of important celestial bodies in turn changes the readings for every person. Also, why aren't comets and asteroids included in astrological readings. If Pluto and Ceres are still being used even after their loss of planetary status, why can't other non-planetery bodies be important? Another important pitfall in astrology is the fact that the constellations are not actual objects in the night sky. They are merely groups of stars that someone in the ancient past assigned a certain shape to. Often, different people see different shapes in the same group of stars. The Big Dipper, for instance, is recognized as the Great Plow in other cultures. These groups of stars don't even exist on the same plane of space. Any given star in a constellation may be thousands of lightyears away from each other, with no relevance or importance to one another, other than the importance attributed to them based on subjective reasoning. It is important to study space and celestial bodies, but we must remember to look at it through a scientific scope. In this regard, astronomy is the way to go, based on its use of empirical evidence. Astrology can be fun, but we must also remember that the heavens do not impact our lives other than through cosmic radiation (which is taken care of by the magnetosphere), or the odd meteor. We can't let what happens in space determine our futures. We can take care of that on our own. Many players for a majority of sports do some crazy rituals the night before a game. They believe in these superstitions because they think they will do well if everything goes the same way that it always does. I for example listen to pump up rap music for a couple hours before the game, and the previous night I will eat pasta and play the LAX video game on my X box. One Duke player (D1 champions) rubs cheese on the top of his head every night before a game to bring him luck to rip top cheese (score a goal in the upper part of the goal). On youtube I found an interview of some Umass players who also have some crazy rituals like always taping their stick before the game, not letting it touch the floor until they are on the field. One player will play Call of Duty until the warm up because it gets him in the zone. 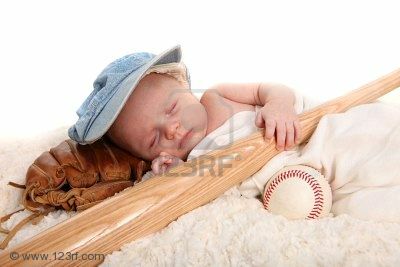 A few players would take a nap a few hours prior to game time, while many players would lace up their cleats in a specific order. (left then right or vice versa). Also the goalie from Syracuse smears mud from his backyard on his face before every game, (many players use eyeblack a certain way). Whichever superstitions they believe in, each player will have their own specific interesting pregame ritual to follow, which is one reason that Lacrosse is such a fun sport. Psychics tend to do a good job convincing people they can predict the future, contact the dead, or even help find a killer. There are numerous accounts of mysterious murders that lead the police to call in psychics. Each case turns out the same; the psychic’s broad claims do not help find the killer, and most of the time they just waste police resources. One instance in particular is the case of John List; a man who shot his wife, mother, and three children. He left them out to be found in his mansion, with a letter confessing what he had done to his minister. He expected to be caught almost immediately, but ended up starting a new life with a new identity. The case in his home town did not die, and one detective took a lot of interest in the case. He had heard about a psychic living near by and decided to bring her crime scene photos and get her input on the matter. Although she had little leads, she did provide him with some interesting information. The psychic, Elizabeth Lerner, claimed that List had met a new woman, which he had, traveled by plane to the southwest, he lived in Colorado, and she claimed there was significance with Florida or Virginia, and List ended up in Virginia where he was eventually arrested. She had also told the detective that she was convinced he would visit the gravesite of his old family on his birthday. Since the detective’s other information was accurate, the detective got permission to watch the graveyard the day before and the day of List’s birthday. He never arrived. A few years later List was finally caught because a neighbor had recognized a picture of List on America’s Most Wanted. In this case, people who believe in psychics can claim that Lerner was right since some of her details were accurate. The detective did not only ask for Lerner’s help; a psychologist had also assisted him in trying to figure out clues to lead to List. The psychologist had also come up with the idea that List had moved away from his home town and that he had met a new woman. Lerner went the extra step and predicted his visit to the graves. List never planned on visiting the graves, but the detective wanted to believe Lerner’s claims so bad that he had wasted two days staking out the gravesite. It can be assumed that anyone who knows the ways criminals behave could have made such assumptions because sometimes killers will return to visit past lives; List was just not one of those people. This is just one example of how psychic crime detectives are used, and there are more that produce the same unfruitful results. Their confidence and their strong ability to convince people is their real power. I have always been told that it is bad luck to spill salt, and you must throw the salt over your left shoulder. Being a generally clumsy person I have participated in this ritual, with your right hand many times, but never knew the reason or origin of the superstition. In ancient times, salt was an expensive commodity. It was a status symbol to be able to have a cellar of salt to present guests with during a celebration. Wasting salt by spilling it was frowned upon by many. The superstition of spilling salt came about as a way to warn people against being careless with it. The throwing of the salt over the left shoulder specifically comes from a Christian belief that the devil resides and hangs about on the left side of the body. Throwing the salt over the left shoulder is in essence throwing the salt square in the devils face. Using your right hand to throw is important because it is regarded as “the good side” of the body. Therefore you are getting rid of the bad using the good. Another superstition that is linked with spilling salt and Christian belief is attributed to the Last Supper of Jesus. The famous painting of the Last Supper by Leonardo da Vinci shows Judas the betrayer spilling a salt vessel. Now that I know where this superstition came from I will still continue to throw salt over my shoulder, even if only as a way to show off my newly gained knowledge. Wedding and marriage superstitions seem ridiculous to most people but many brides still follow these false notions so they will have a long wonderful marriage. Even though I am not a believer in all of these crazy superstitions I do know many women who believe in them. Some of these superstitions I have heard of but many of them are new and surprising. One very recognizable superstition is that when a bride is about to get married she needs something old, something new, something borrowed, something blue. The something old is to make sure that the couples past connects with their future, something new is for the couple to have health, happiness, and success in the future, the something borrowed is a token of love from the bride’s family, and something blue is very significant because it represents fidelity and constancy. Another recognizable superstition is that the groom must carry the bride over the threshold because if the bride stumbles or falls down, it is considered bad luck. At the end of the wedding, family and friends often throw rice at the couple as they pass by. They do this to wish the couple fertility by transferring Mother Earth’s prosperity onto the bride and groom. It is said to be good luck if you see a rainbow, black cat, or chimney sweeper on your wedding day. It is bad luck for the groom to see the bride the night before the wedding and also if the bride tries the wedding band on before the ceremony. It is also bad luck to see a grave, pig or lizard on your wedding day. There are also superstitions that follow after that wedding as well. 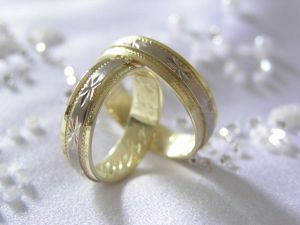 For instance, if a man or woman loses their wedding band, it may symbolize a break in their marriage. One extreme superstition from Hindu culture is the bride is given a knife or any other sharp metal entity to take with her at all times after she is engaged and until the wedding day, this allow the future bride to protect her virtue. In conclusion, wedding superstitions and rituals seem ridiculous but it is rare to find a bride who doesn’t follow at least one of them. Every wedding that I have been to, I have seen one or more of these superstitions. And the bride always seems pretty serious about it. Even though these superstitions can be fun at times, they clearly aren’t doing their job considering about 40-50% of marriages in America will end in divorce. So I am pretty sure that they have no effect on a couple’s marriage and future. 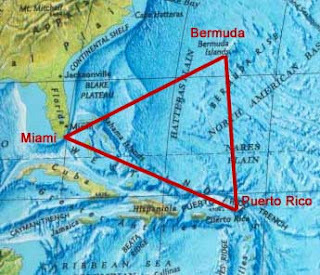 The Bermuda Triangle is a triangular area in the Atlantic Ocean with its three corners located at Miami, Florida and Bermuda and San Juan, Puerto Rico. According to legend, an overwhelming number of ships and planes have mysteriously vanished in the Bermuda Triangle. Many different theories have been developed to try to explain the mystery. Two theories that seem scientific at first glance are strange magnetic fields and oceanic flatulence. 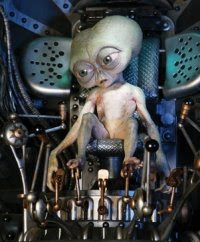 Other theoretical explanations developed by science fiction writers include evil extraterrestrials, residue crystals from the lost city of Atlantis, evil humans using technologies such as anti-gravity devices, and vile vortices from the fourth dimension. The first use of the term "Bermuda Triangle" was in February, 1964. The article, The Deadly Bermuda Triangle, by Vincent Gaddis was in the Argosy, also known as Argosy: Magazine of Masterpiece Fiction or The Argosy: A Magazine of Tales, Travels, Essays, and poems. The Bermuda Triangle has been a popular science fiction topic ever since. Each author can create stories around any incident and add their own artistic input especially their own theories. Many of the ships and planes that have been identified as having disappeared mysteriously in the Bermuda Triangle were not in the Bermuda Triangle at all. Other authors expand the area of the triangle past its normal boundaries to include other incidents in order to make their story entertaining. The United States Coast Guard and other expert sources affirm that the number of incidents involving lost ships and aircraft in the Bermuda Triangle is no larger than any other heavily traveled region of the world. This amount of traffic in addition to the dangerous weather in the area makes the number of incidents in the area rather reasonable. Weather including thunderstorms, hurricanes, tsunamis, earthquakes, high waves, currents and other natural and human causes are what investigators believe are the cause of the disappearances in the area. Investigations of Bermuda Triangle incidents have not produced any scientific evidence of any unusual phenomena involved in the disappearances. Investigations of stories based on certain disappearances do not align with the actual facts and include many fabrications. We have become accustom to the idea that the Bermuda Triangle is an infamous location for mysterious disappearances when, actually, no such phenomena exists. Growing up, whenever there was an aunt, cousin, or any family member pregnant, it was common for the mother and father to not announce the pregnancy or reveal the news until 3 months had passed. Grandmothers and other older relatives would let family know it was bad fortune for the pregnant couple to spread word of the pregnancy to everyone, and that God would grant good graces to the child if it was kept secret until 3 months had passed. Turns out, this secrecy is more than an Italian myth. The true significance behind announcing the "big news" is due to the actual stages of pregnancy, and the high risk of miscarriages that occurs within the first three months of pregnancy. 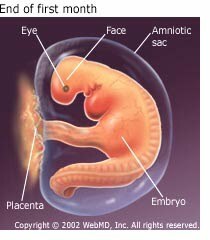 During the first month, the amniotic sac, placenta and the formation of a primitive looking face occur. The second month of pregnancy brings about the development of more facial features, the first signs of arms legs fingers and toes; the neural tube, digestive organs and sensory track develop. At this point, the head of the baby is about 1/3 of it's total composition. Finally, in the third month of the pregnancy, the baby has become fully formed, developing toe nails and the first bit of teeth. Furthermore, the baby's reproductive organs are beginning to form, but the gender is not entirely distinguishable. The inner organs are far more developed, the circulatory and urinary systems are working and the liver produces bile. Since the baby has developed these essential organs within the first three months, and the body is now stabilizing inner functions, the risk of a miscarriage drops considerably. After these 3 months, Italians would then consider it safe, and good omen to let family and friends know the excellent news. So everybody knows that Christopher columbus discovered that the New World in 1492 which eventually became America. He was looking for a trade route and I do not think he found one. However he discounted a pseudoscientific myth that the earth is actually flat. Today everybody knows that the world is round. Except for the people at the flat earth society, they firmly believe that the earth is a flat plane or disk. Which is incredibly stupid because people have been to the moon and we have footage of the earth that shows it is not a disk and is not flat. We have photos that show the earth is round. Many of these flat earth beliefs were understandable in the middle ages. However now, it just seems stupid. The flat earth society firmly believes that the earth being round is an elaborate hoax. They acknowledge that the moon other planets and the sun are round. However they believe that the earth is a flat disk with the north pole in the center. The continents and oceans surround the disk. On the edge of the disk is a 150 foot wall of ice holding the ocean in. There is even a forum section were you can debate with them over your theories. Which will usually be shot down even if you show evidence that the earth is round. Normally i respect and understand other peoples thoughts and beliefs. However, the flat earth society are very strange. I just think that people like conspiracy theories. I really do not understand why this group of people believe in something that is obviously false. Players in sports have some of the strangest superstitions from eating certain foods before games to getting dressed the same way everyday. But no sport has as weird of superstitions as baseball. Baseball players do the weirdest things to keep streaks and good luck going. Turk Wendell former Cubs pitcher brushes his teeth and chews licorice between every inning to have good luck. We have already talked about Wade Boggs and how he only eats chicken the day before a game but he also draws a symbol in the dirt meaning "To Life" in the batters box before every at bat. Another weird superstition is Mark “The Bird” Fidrych's. He would play with the dirt on the back of the mound and talk to himself and the ball before he pitched every game. Other not as well known superstitions in baseball is to spit into your hand before picking up the bat is said to bring good luck. Another not so well known superstition for baseball and one that isn't done so much is putting a wad of gum on a player's hat brings good luck. One thing that you never do is let another player use your bat apparently that is a jinx and they will do bad. One superstition that everyone in baseball follows is that if your pitcher is pitching a perfect game or no hitter you never speak of it while its going on or it will not happen. 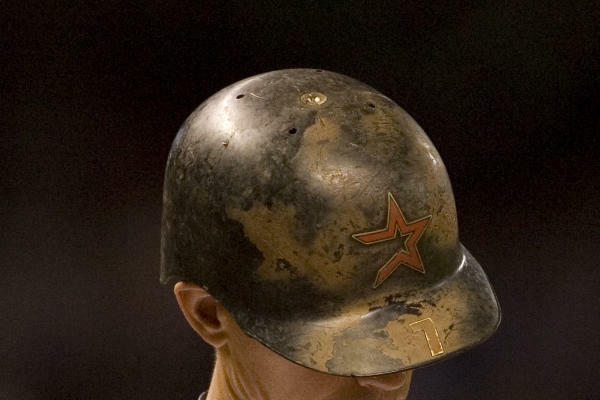 Another well know superstition is refusing to wash a piece or part of an entire uniform during a hot playing streak. People have been noticing the flattening of fields for many years now. The field is sually one that consist of wheat, barley, or maize. The field is also flattened into some kind of shape, whether it is a circle or some kind of odd sign. Today, these formations are known as crop circles and their creation is highly debated. The most common belief is that the crop circles and are created by extraterrestrial beings. Because of the complexity of the designs, it is believed that no being on earth could possibly make it. Aslo the presence of ultrasound and way that the crops have been laid down make it seem highly improbable to be manmade. This theory is highly disregarded because there has been no true evidence of aliens. A proven cause of crop circles is pranksters, the most famous being Doug Bower and Dave Chorley. These men have admitted to making countless crop circles from 1971 to 1991. Using only a rope and a wood plank, there were able to make the formation in an hour time period. Since them, many other pranksters have taken to making crop circles with improved techniques. The other known cause of crop circles is animals. In Australia, wallabies have been seen creating crop circles by running in circles after eating the opiates contained in poppies. Phrenology is a pseudoscience that is primarily focused on measurements of the human skull. The basic concepts of Phrenology entail the idea that the brain is an organ of the mind and that certain areas of the brain have specific functions or modules, a theory titled "modularity of mind." Phrenologists believed that the mind has a set of different mental faculties, with each particular faculty represented in a different area of the brain. The intellectual basis of Phrenology entails that moral and intellectual faculties are innate, exercise of faculties require organization, that the brain is the organ of in charge of all faculties and that since the form of the cranium represnts the form of the brain they are reflective of each other. The complex process of Phrenology included feeling of the bumps of the skull in order to determine ones psychological attributes. Founder Franz Joseph Gall believed that the brain was comprised of 27 individual organs that created ones personality. The study of Phrenology has long been dismissed as pseudoscience due to neurological advances. Scholars find it to be pseudoscience since it neither makes risky predictions nor provides the chance for others to prove if it is a real theory. I was flipping through the channels one night when I came across a program called "Our America with Lisa Ling." Not so much who was on it made me stop but the topic, the topic was faith healers. This had caught my attention because we had talked about something like this before. This particular faith healer made me quite mad. On the part I saw there were 2 people. These 2 people were so sick and wanted so badly for this guy to heal them. One of the women, Carol, was sick with cancer, the other man, Steve was going to this faith healing to be healed of him being paralyzed from the waist down. This show was actually quite moving, Lisa Ling talked to these people about what would happen if Todd didn't heal them and it turned out that the lady who was sick with cancer,Carol, didn't have any more money to use on cancer treatments, and neither did her family. In fact it turned out that basically the rest of their money was going to this faith healing. Steve was sure it was going to work. Earlier in the show he kept repeating that "this was his night, he was going to push his wheelchair out the door" with him. He had no room for doubt. The guy, named Todd Bentley, spoke words of believing in Jesus who will heal you. Then he got off his stage and started holding people's heads repeating the words, "The power, the power, the power, power,". Just watching the people who were ready to be healed, shaking with hope, crying from faith, and really believing in the guy. It was disheartening for me to watch and knowing that this just wasn't going to work, but maybe, just maybe for, these really good people, it really would work. The show ended and Steve wasn't able to walk, and it told you that Carol's cancer got worst, and the doctors aren't giving her much more time to live. Yet this guy... this faith healer, said it would work, as long as you believe, and if you hear him talk at the end of the show, you can tell he is such a b.s.er its not even right. Like him though, there are hundreds of other so called "faith healers". Who have the confident voice. The ability to preach the lords gospel, like that. He obviously doesn't believe in God, and if he does he should be ashamed. This faith healer, made so many believe and he crushed all of their dreams, and hopes of getting better. There are hundreds of other of the faith healers though, for instance, Peter Popoff, and Pat Robertson, along with others. They are just fooling people. I am not saying there are one's out there that aren't real, but for the one's I have seen, they are just playing on people's emotions. Again using the vulnerability of the sick, dying, and injured, and getting all of their money. It's just not right to do this. These are people that may stop going to treatments, because they think they are healed, and they're not. Again I think it's the confidence, the fact that they can say it, and wow a crowd. Make them into believers when actually the only thing they're leaving behind is their money. Below I have listed a video clip from our America with Lisa Ling, Todd Bentley's website, and Todd Bentley's interview after the show. Many believers in astrology have suggested that each planet issues a different variety of special as-yet-undetected radiations or "vibrations" . . . [but] there is apparently conclusive evidence that the sun, moon, planets, and stars are all made of the same stuff, varieties and combination's of atomic particles and molecules, all governed by uniform laws of physics. It does not make sense to suppose that the various planets and the moon, all with rather similar physical properties, could manage to affect human affairs in totally dissimilar fashion. There have been many tests done to try and prove that astrological signs can actually predict. 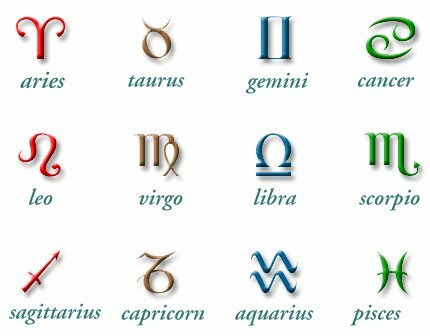 "Michigan State University psychologist Bernie Silberman asked astrologers to list compatible and incompatible signs. Silberman then inspected the records of 478 couples who divorced and 2978 who married in 1967 and 1968 in Michigan. He found no correspondence beyond that of random chance between the astrological signs predicted to be compatible or incompatible by astrologers and the signs of those getting married or divorced." French statistician Michel Gauquelin examined the signs (moon, zodiacal, planetary, ascendant, and mid-heaven) for 15,560 professionals from five European nations in 10 different occupations. He found no evidence of any astrological effects. His calculations showed that the correlation between astrological signs and occupations to be that of random chance. Due to this scientific evidence one can see that daily horoscopes are in fact fiction, and their general predictions are bound to relate to anyone's life.